The program is ran by El Centro Border Patrol community outreach program. The training runs all week. 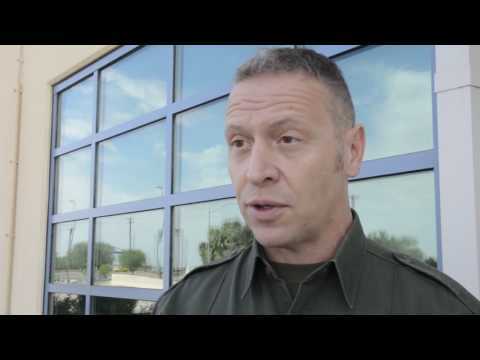 Border Patrol Agent Alessio Faccin said it covers all major aspects of law enforcement. “Connection between our use of force policy and the constitution of the United States. Along with history regarding law enforcement in general all the way from the inception of law enforcement,” Faccin said. Officials said students have been enthusiastic about the training. “It’s very intense. And their reactions were unique. They were excited. They were scared,” Faccin said. One student told us knowing the history of our law enforcement is important. “How it began. How they processed it that time. What kind of conflicts they started off with. How they evolved,” Student Heros Cabrera said. Cabrera and Castro are considering a career in law enforcement. “I’m thinking of entering a university first, then choosing my job from there,” Cabrera said. “Border Patrol or Sheriff. More like in a canine unit, though,” Castro said. The training is open to the community. “We would like to foster better communication between law enforcement and the public,” Faccin said.